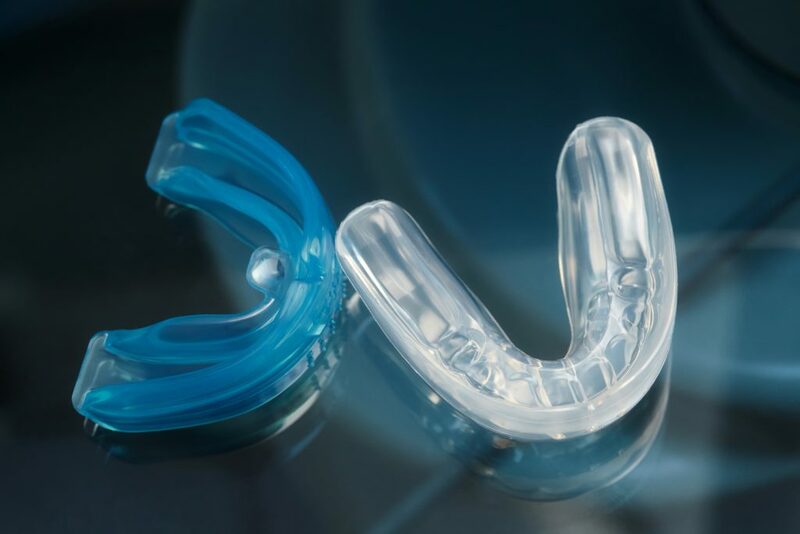 Protecting your teeth is just another part of playing any type of contact sport, and we can supply you with a custom mouth guard so well-fitting that you won’t even know it’s there. If you’ve ever had a one-size-fits-all or boil-and-bite mouthguard, you’ve likely experienced the frustration that comes with a mouth guard that falls out of place, impedes normal breathing and speaking, and is generally uncomfortable to wear. A properly fitted custom sports mouth guard reduces the chances of sustaining a face, neck, or head injury such as a concussion, and helps protect your teeth from damage. We can fabricate custom mouth guards for children and adults in our on-site lab. Your mouth guard will be designed and made by your dentist and our technicians based on a cast of your teeth for the very best comfort and protection. Custom guards can even fit over braces and fixed bridges, and it’s a lot less expensive to purchase a custom mouth guard than to repair or replace your teeth! Come see us, and say goodbye to that ready-made mouth guard. Click here to read more about sports dentistry and mouth guards.